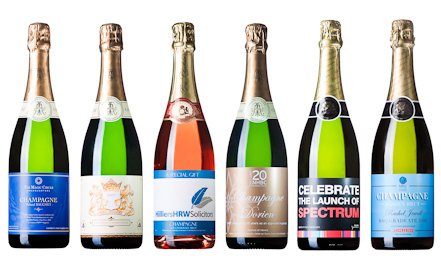 What could be better as a promotional gift than a great bottle of wine or champagne with your logo and message on the label? Wine, Port, Champagne, Spirits and even apple juice… you’ll never be stuck for choice of personalised drinks with us! Follow the links below to find your perfect selection from our top quality range. No-one else offers you such a wide range of award winning wines. Remember, every bottle is available with your own full colour personalised label. Fully Branded Labels for your company. 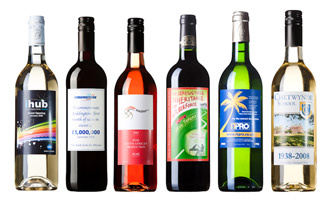 Full colour corporate branding on great wine. Fully Branded Bottles with your own full colour label. The most impressive promotional gift. 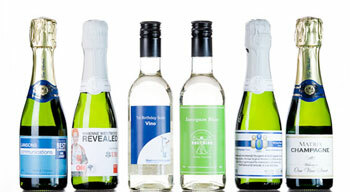 Little bottles with Branded Labels in full colour. The perfect exhibition promotional giveaway. The finishing touch that can be branded too! 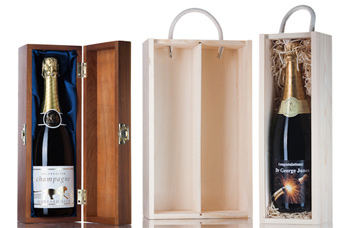 From single bottle boxes to cases and postal boxes.